The Look: Chic enough for a day at the office, but trendy enough to get heads turning while you’re getting your coffee at Alfred’s. 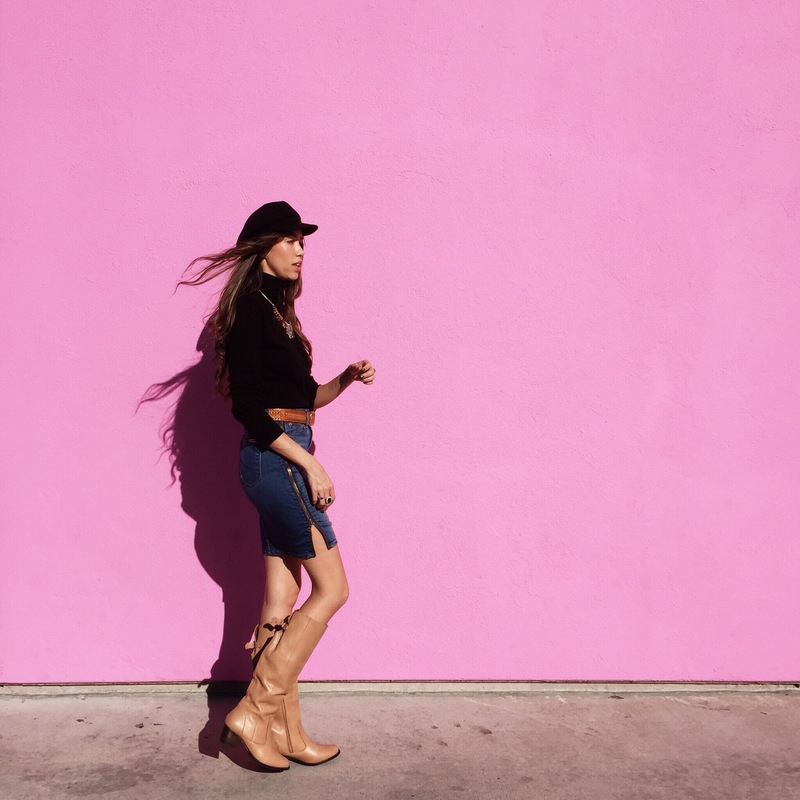 Denim skirt and boots are a perfect combo heading into spring with your rose-colored lenses.. Reflecting: While documenting the life through rose-colored lenses. . . See the best in the world and what people can create. If things don’t happen how it was planned, look at it as positive and organize yourself for the next situation. Find solutions and move forward. Our insecurities hold us back and often times blind us from seeing that rose-colored life.